The new year is upon us and that means one thing – it’s time to do some spring cleaning. Here’s a quick guide to selling or donating your secondhand items in Singapore. The marketplace app is a great place to sell pre-loved clothes, shoes and accessories, especially if they’re from local online stores or high-street labels. Beware of potential cheapskates and/or rude buyers though. Have a designer bag you don’t really use anymore? Listing it on Deluxemall is a free and easy way to put it up for sale. Brands like Chanel and Louis Vuitton sell especially well on the classifieds site. Reebonz Closets is sort of like Carousell, but for designer bags, shoes, clothes and watches instead. Download the Reebonz app to upload photos of your items, then list them for sale in the marketplace. 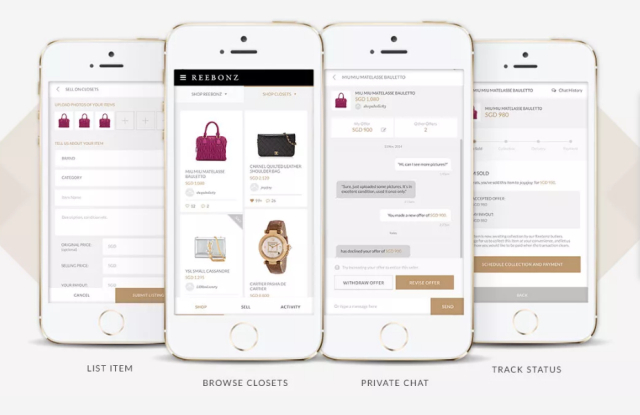 It’s free to list an item, but Reebonz takes a 10% cut from any sales made through the app. The Salvation Army collects both new and pre-loved items for their social enterprise arm, Red Shield Industries. 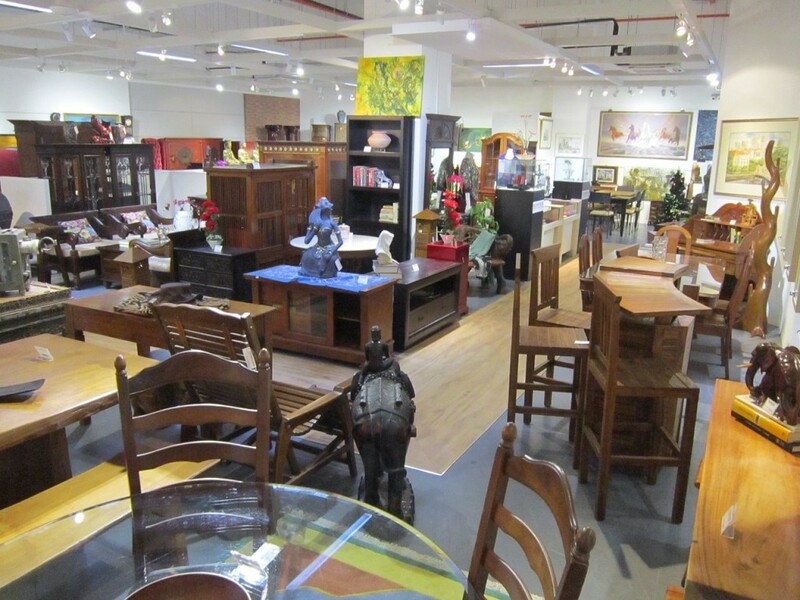 The items are sorted and processed before retailing at Family Thrift Stores in Singapore. Due to an overwhelming number of requests, The Salvation Army is appealing for donations to be dropped off at any of their booths. You can also opt for door-to-door collection, but with an optional contribution of $60 to cover transportation costs. 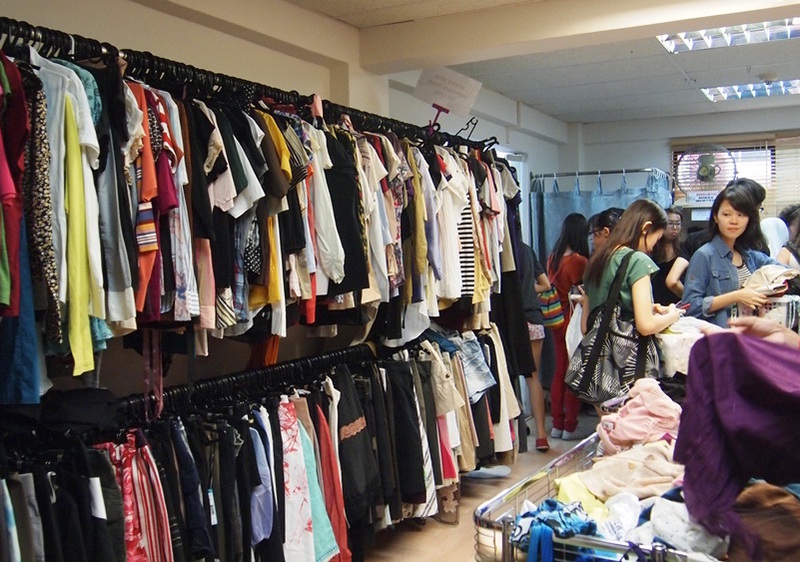 Started by the Singapore Council of Women’s Organisations (SCWO), New2U Thrift Shop accepts donations for clothes, accessories, household items, ornaments and books. The store sells the items for as low as $1, and the proceeds go toward the Star Shelter and other SCWO initiatives. MINDS Shop is a social enterprise initiative which provides their intellectually disabled clients with training in retail and customer service skills. The thrift store, which has five stores island-wide, accepts donations for clothes, accessories, bags, books, toys and small household items in good usable condition. Similar to MINDS Shop, TOUCH 301 Thrift Mart provides pre-employment training for adults with mild intellectual disabilities. The organisation, which is run by TOUCH Community Services, accepts donations for clothes, bags, toys, household items and electrical appliances in working condition. Have too many clothes? Bring it to H&M to get a 15% discount voucher for each bag of clothes you bring in (limited to two vouchers per day). The initiative aims to reduce waste from the fashion industry by collecting old clothes (regardless of brand) and recycling them into raw materials or re-selling them as secondhand fabric. Besides clothes and shoes, The Salvation Army also accepts donations for furniture and bulky appliances. To arrange for a collection service, make an appointment online or call 6288 5438. As with anything you donate, make sure that the items are in decent working condition. Don’t be rude and use them as a dumping ground for your junk. Pass It On is an organisation that acts as a middleman to connect donors with the right charities. Fill in the form to let them know what you would like to donate, and Pass It On will put you in touch with the right charity organisation. There is also a Wish List on the site which shows specific requests from charities/needy families, so you can choose to donate or fulfil those through the site too. Items needed usually include washing machines, laptops, bicycles and wardrobes. Want to exchange your items for cash? Cash Converters Singapore buys a wide range of furniture and electronics, including kitchen appliances, audio visual equipment and household items. They also accept healthcare items such as wheelchairs, blood pressure monitors and massagers, as well as jewellery and designer bags. See here for a full list of items that they buy. Outgrown your current book collection? 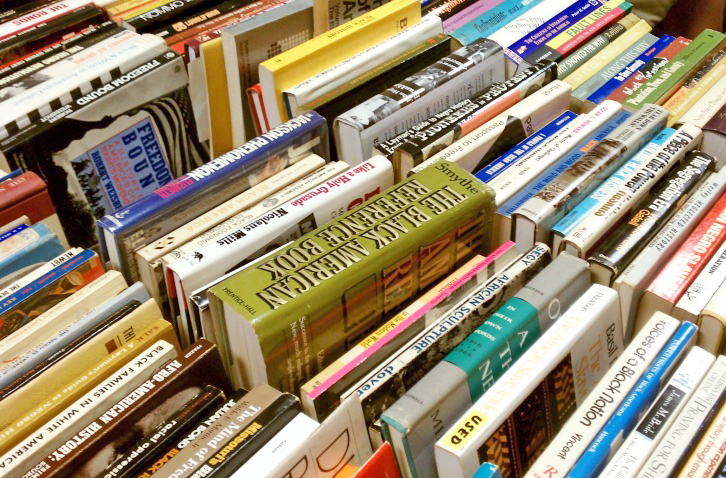 The National Library Board accepts donations for books and audio-visual materials, as long as they are in good condition. Fill in this form with your details and they will get in touch with you. Help a Child aims to promote reading among underprivileged children in poorer countries by providing them with books and educational material. The organisation collects donations for educational books (learning the alphabet or numbers) and educational CDs/DVDs such as Sesame Street or Bob The Builder. If you have old pairs of reading glasses or sunglasses lying around, donate them to Visio Optical for a good cause. 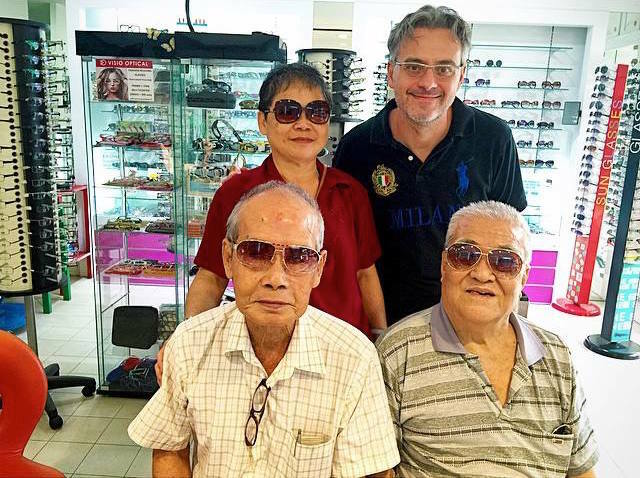 The optical store collects secondhand glasses, then repurposes them for needy people with eyesight problems. Yup, that’s right – you can even donate your hair, and for a good cause too. Recycle Your Hair is an initiative that collects hair to make wigs for local cancer patients and those who suffer from permanent hair loss. Read their donation guidelines here though, before snipping that ponytail off. The National Environment Agency (NEA) has several recycling programmes in place to reduce wastage and promote environmentally-friendly practices. Faulty electrical appliances may not be of any more use to you, but some of the components inside can still be recycled. Instead of chucking them (or piling them up in your store room), drop off old electronic equipment and appliances at any of the designated collection points listed here. Used ink and toner cartridges can actually be recycled by extracting reusable plastic and metal parts. Doing so also helps to reduce environmental pollution, as the incineration of plastic or metal parts in the cartridges can produce harmful substances. Drop off your old ink and toner cartridges at these selected libraries instead. The next time you have a fused bulb, drop it off at IKEA instead of throwing it away. Most light bulbs contain mercury, which is why they should be disposed of properly. Recycling light bulbs also reduces the need to mine raw materials, as the bulbs contain glass and metal parts that can be repurposed. See here for a list of places to drop off your old light bulbs at. Junk To Clear is a company that helps people to well, clear their junk. After they collect your items, their staff will sort through the junk and extract the items that can be reused, recycled or donated. For a cheaper alternative, check out your Town Council website to see if they offer a Bulky Item Removal service. The service is generally limited to 3 items per household per month, and you have to make an appointment at least 3 days in advance. Can you help to update the article to add in Gratitude Corner in Kong Meng San Phor Kark See Monastery? Under the clothes section is good. Thanks. Our website is here. We accept books and recyclables too and have a Gratitude Shop the opens everyday! If yo want ot donate spare garden items you can use http://www.spareharvest.com to share. swap or sell what you can spare.